This is a fused nuclear medicine / radiology imaging technique which provides a map of regional glucose use overlaid on anatomic images. Glucose analog which is radiolabeled with Fluorine-18, a positron emitting radionuclide (18-fluoro-2-deoxyglucose). Both glucose and FDG enter cells by facilitated diffusion and both are phosphorylated by hexokinase. Unlike glucose, FDG cannot be further metabolized and accumulates intracellularly. 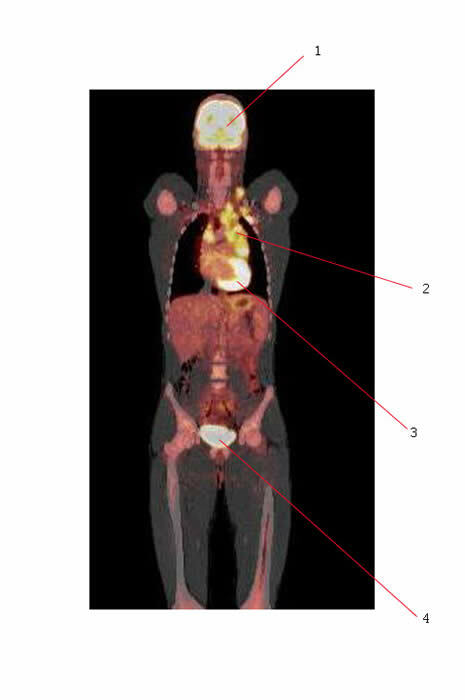 This property is exploited in PET/CT, which shows the whole-body distribution of FDG accumulation. Lymphoma tumor cells are more metabolically active than normal tissue and have higher rates of FDG accumulation and can therefore readily be identified by PET/CT. Precise anatomic localization of sites of disease involvement. An assessment of the degree of metabolic activity, or “viability”, of those sites. Allows reliable differentiation of non-viable soft tissue disease (for example, post-treatment inflammation at sites previously involved by tumor) from viable tumor, something which conventional CT is unable to do. Used to assess initial extent of disease and response to therapy. Upstaging of disease by 10-15% if using PET for staging versus other radiology investigations. If the PET/CT is negative, patients = Rapid Early Responders and have a better prognosis and intensity of therapy can be reduced. If PET/CT is still positive = Slow Early Responders - prognosis is worse and patients will be given more intense therapy. In many centers PET/CT scans have become an essential part of initial staging and monitoring response to therapy. #2. Hodgkin lymphoma involving mediastinal nodes. 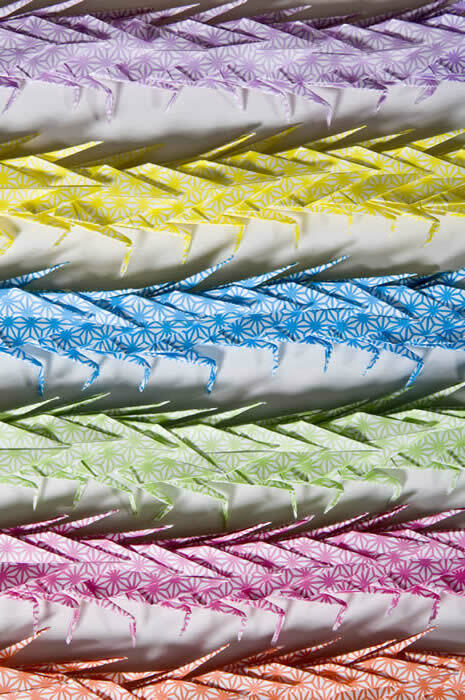 Disease also extends up into the low neck. 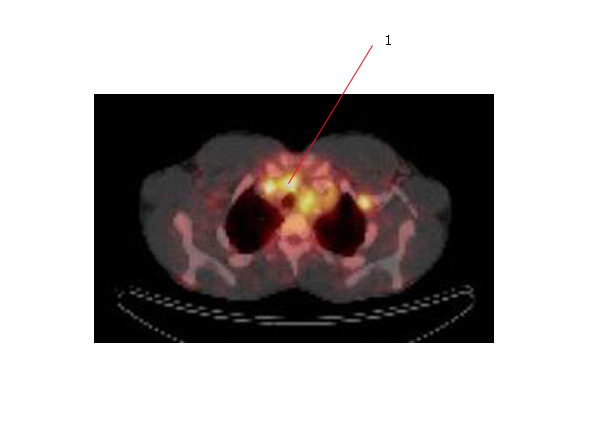 The PET scan below is an axial scan of the same patient showing uptake in mediastinal nodes (#1). There is also uptake in a node adjacent to the chest wall on your right.